Many of us are sitting back and enjoying the summer fun. For some kids and parents, however, the nervous first day of school is arriving sooner rather than later. I suggest they consider picking up a copy of Sea Monster’s First Day by Kate Messner. Sea monster Ernest is afraid of fitting in when he’s so much larger and different from everyone else. Luckily there is so much for him to learn and do at school. Can he hope to even find a friend? Sea Monster’s First Day is a wonderful, delightful story that will help young children cope with starting school. As a teacher, Messner recognizes that it’s hard to make new friends, especially if you feel you’re a bit different from the others and it seems like everyone already belongs. 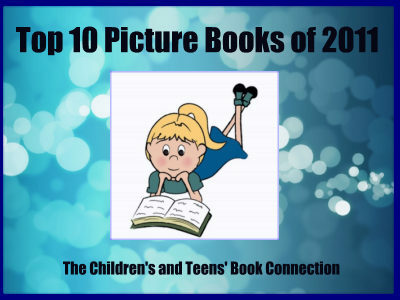 This book also helps youngsters realize that as they learn together, things are made easier, and perhaps there is one special friend or group of friends they will be drawn to. 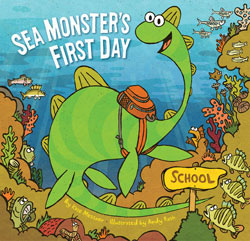 Sea Monster’s First Day truly encourages kids to be excited about that first day and all the school days to come. The artwork by Andy Rash is so great. I visited his website and glanced at some of the other books he’s written and illustrated. Agent A to Agent Z caught my eye. I’ll have to get my hands on that one. Rash’s work in Sea Monster’s First Day is superb. He captured the whimsical nature of Messner’s story to perfection. I highly recommend Sea Monster’s First Day for any child experiencing first day of school jitters.